Are you a Fensi (Chinese equivalent of fan) of Tom Cruise, or Morgan Freeman? Well, you gotta feast your eyes in theatre today, with your beloved super idols. Oblivion, the fascinating science and fiction movie, which is an original and groundbreaking cinematic event from the visionary director of TRON: Legacy and producers of Rise of the Planet of the Apes, was premiered in Dublin on April 3, 2013 and in Hollywood on April 10 at the Dolby Theatre. The debut showcase generated $61,100,000 in box office. 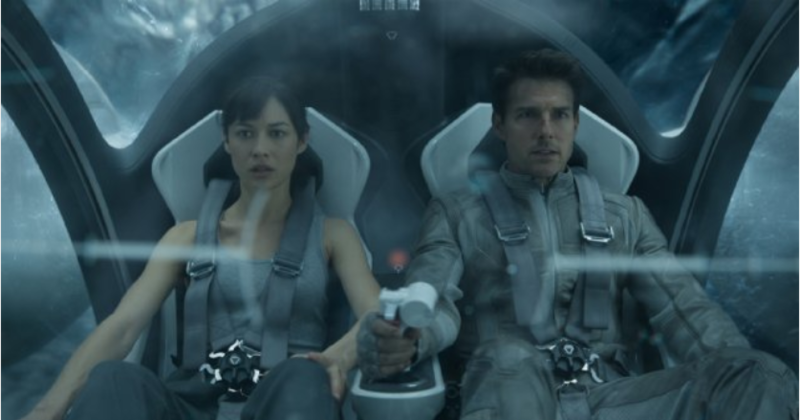 As it is previously scheduled, Universal Pictures, the movie’s unique distributor, will bring Oblivion in theatres and IMAX on April 19, 2013 (That’s today). The movie stars Tom Cruise as Commander Jack Harper, who is one of the last remaining men on Earth and who was in charge of repairing the drones that patrol the skies and protect the planet from warring aliens; Morgan Freeman as Malcolm Beech, a resistance leader stationed on Earth; Olga Kurylenko as Julia Rusakova, a female astronaut; Andrea Riseborough as Victoria Olsen who was Jack’s assistant; Melissa Leo as Sally, Jack and Victoria’s mission control; Zoë Bell as Kara, a female resistance soldier; and Nikolaj Coster-Waldau as Sykes, a battle-hardened, intelligent, and highly athletic military weapons expert in the resistance. The storyline went like this: On a spectacular future Earth that has evolved beyond recognition, one man’s confrontation with the past will lead him on a journey of redemption and discovery as he battles to save mankind. 2077: Jack Harper (Tom Cruise portrays) serves as a security repairmen stationed on the evacuated Earth. Part of a massive operation to extract vital resources after decades of war with a terrifying alien threat who still scavenges what’s left on our planet, Jack’s mission is almost complete. In a matter of two weeks, he will join the remaining survivors on a lunar colony far from the war-torn world he has long called home. Living in and patrolling the breathtaking skies from thousands of feet above, Jack’s soaring existence is brought crashing down after he rescues a beautiful stranger from a downed spacecraft. Drawn to Jack through a connection that transcends logic, her arrival triggers a chain of events that forces him to question everything he thought he knew. With a reality that is shattered as he discovers shocking truths that connect him to Earth of the past, Jack will be pushed to a heroism he didn’t know he contained within. The fate of humanity now rests solely in the hands of a man who believed our world was soon to be lost forever. Oblivion features high definition 1080p video in an original aspect ratio of 2.39:1, and according to Tom Cruise himself, the very person who announced before the screening at the Dolby Theatre in Hollywood California on April 10, that the movie is actually the first feature to be mixed completely “from start to finish” in the latest state-of-the-art Dolby Atmos surround sound. Queue up for a ticket, or simply order one or two online, so that you can go to the cinema accompanied, or just order this Blu-ray from Amazon to enjoy on your home theatre with your family. 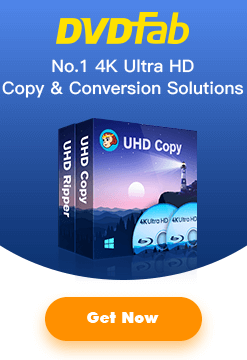 Do remember, if you need clone your own Blu-ray for the sake of backup, DVDFab can help you on that subject. Do report here in case the Studios ring in new BD+ protection. DVDFab 9.0.5.5 fails on both DVD copies of the movies “Mud” and “Oblivion”.